Currently there are 24,500 Nail Technicians in Australia, but with the demand for nail services growing, this figure is set to jump to 30,800 in the next two years. In terms of pay, Nail Technicians can expect to earn anything from $30,000 to $70,000 per year. So how exactly do you become a Nail Technician? Firstly, you need some training so that you can learn the skills to give professional nail services, understand nail care, and how to master safety and sterilisation. Training should also include some business skills, so that you have the knowledge to set up and run your own business successfully, meeting all the legal and taxation requirements. Owning your own business can be an empowering and rewarding way to make money. You get to set your own hours, work where you want, and build a base of clients that you genuinely enjoy working with. Before you dive in, however, it’s important that you give yourself the best chance of success by having a strong, well thought out business plan. Below you’ll find a list of the top four things you need to consider before becoming a business owner. Ask yourself the following questions. Don’t rush your answers. Remember this is your life, your career and your livelihood you are considering. You want to make the best decisions and give your business a flying start. What services am I going to provide? How many hours (realistically) am I willing to put into starting and building my business per week? Do I have all the skills and qualifications I need to start this business? How much money do I need to earn every week to pay for the running of the business, pay myself a wage, and cover my costs? To be successful you will need to have a look at the market around you. Think about who your business competitors are. What services do they offer and what do they charge? What are their strengths and what are their weaknesses? Now ask yourself if there is a spot in the market for you to fit in? Consider how you are going to stand out from the crowd and what your point of difference will be. Basically, what will you offer that your competitors can’t and why will customers choose you? Have a think about who your target customer is. Where are they located? How does this customer tend to behave (their spending habits, etc.)? What do they value (time, creativity, a good chat)? What are they looking for in a nail service (latest trends, a place to relax, a quick treatment)? Now that you have a better idea of who you want to sell to, consider how you are going to let them know about your business, and why they should chose you over your competitors. You need to find out what permits and insurance you need to run your business. Being aware of what your legal and insurance requirements are before you start your business will save you time and stress in the long run. Click here for more information about permits, taxation and insurance. For more information on setting up a small business, head to the Australian government’s Business site or check out this post. Starting your own business can be one of the most rewarding things you will ever do. It can really change your life. To be successful, you need to make sure you have the right training. 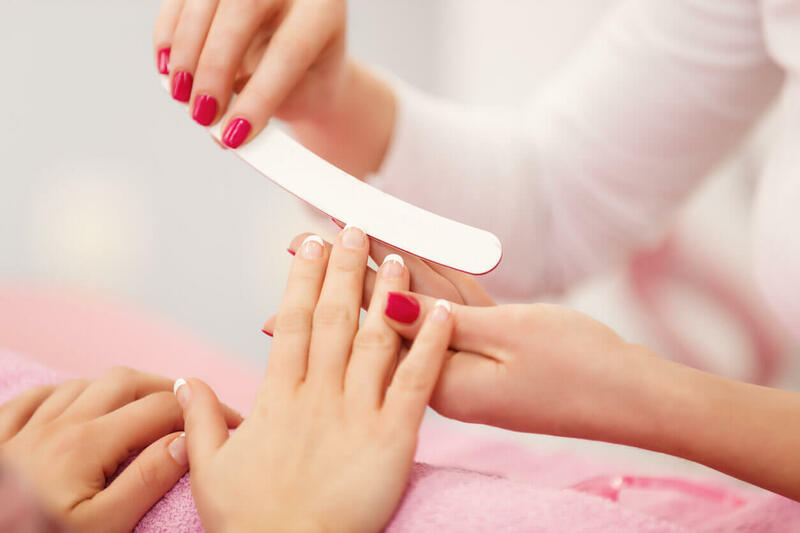 Open Colleges offers a Certificate III in Nail Technology which covers all the professional skills and knowledge you need. The Certificate will also teach you how to properly set up and run a business, and how to use social media to promote it. Taking the extra time to get professional skills, and to properly map out a business plan can be the difference between a successful business and one that struggles. So if you love people, you love all things nails, and you want to be your own boss, you really can have it all as a Nail Technician! Learn the skills to offer exceptional nail services and even start your own business with the Certificate III in Nail Technology. Download the course guide now. I just love your blog, thanks for sharing such a nice article about Salon .